Our Mexican Black Beans make for a delicious meal – keep it simple by making rice and beans or use them for tacos or burritos. 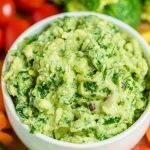 This quick and easy recipe is vegan, gluten-free, and bound to be one of your favorite side dishes! 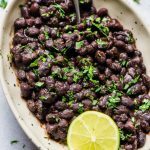 Black beans are a great source of protein, they are loaded with fiber and make a great meat alternative. 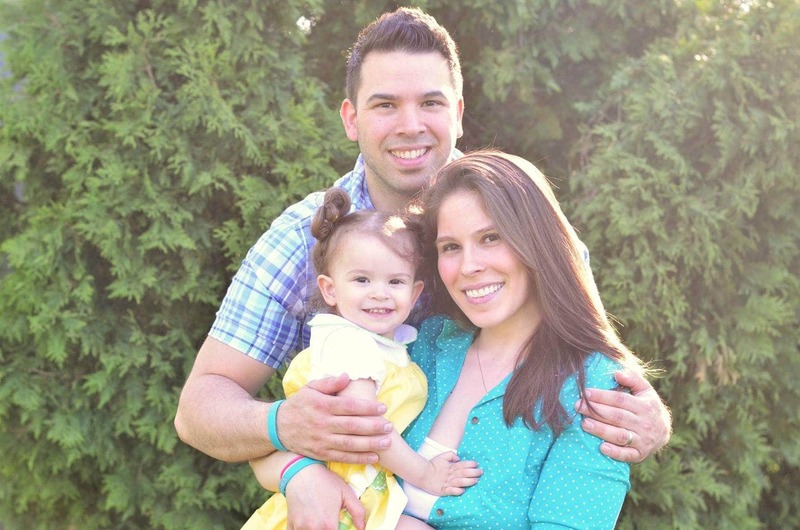 We love going to Chipotle Mexican Grill, but they are SPICY. If you suffer from Acid Reflux, GERD, or have a sensitivity to heat, they can have you chugging ice cold water to tame the heat. Our Mexican Black Beans recipe is all about the flavor, not the heat. If you like heat you can absolutely add in some cayenne powder to add spice. 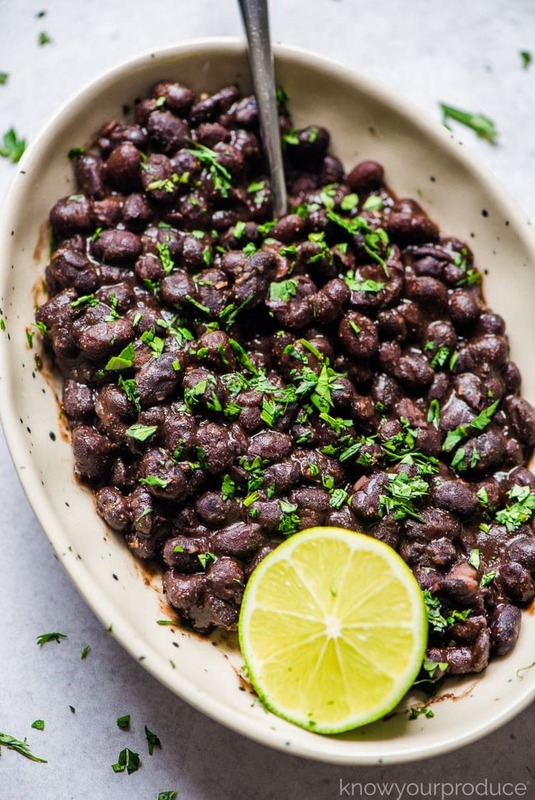 Let’s jump right in and show you how to cook canned black beans so you can enjoy them too! 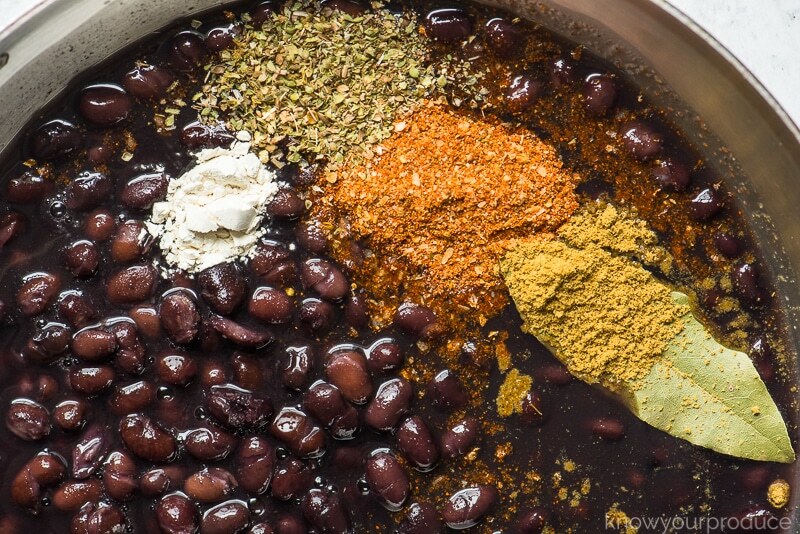 Pour the beans with liquid into a skillet with taco seasoning, cumin, oregano, bay leaf, and onion powder. Place the skillet onto the stove on medium-high heat. Bring to a boil stirring frequently and then reduce to low to allow the beans to thicken. Once the beans are done, about 15-25 minutes simmering, squeeze in the lime juice and add some chopped cilantro. Simmer for 15 minutes if you want a loose liquid and 25-30 minutes if you want them with the liquid cooked down like ours. Yes! They are very good for you! In fact, you can eat black beans every day as a part of a heart-healthy diet. Beans and legumes support heart health and are loaded with protein, potassium, vitamin B6, folate, and tons of fiber. There are tons of different recipes to make black beans, but our favorite is using spices you already have at home. 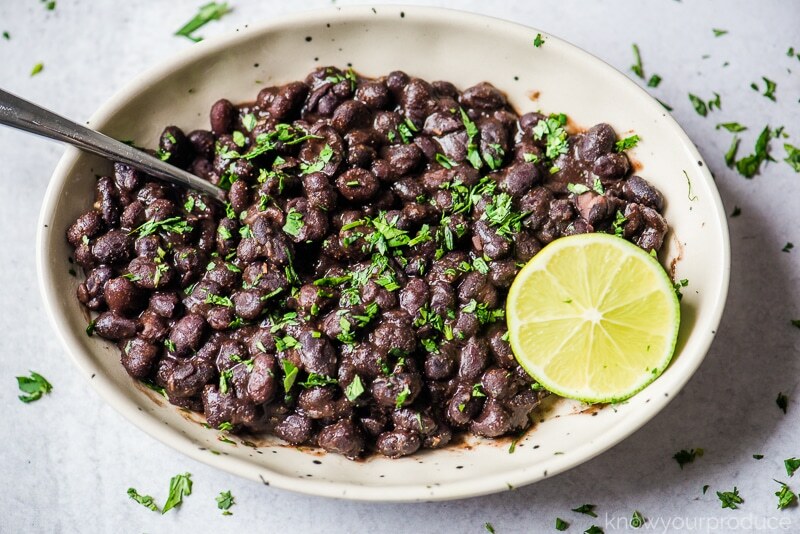 It’s easy to whip up and only takes about 30 minutes when you use canned black beans. We use our homemade taco seasoning, cumin, onion powder, and a bay leaf. To finish we squeeze a bit of lime and add freshly chopped cilantro. You could use fresh onions and garlic in a little olive oil instead of dried, but we find that the seasonings work well and also thicken up the beans. 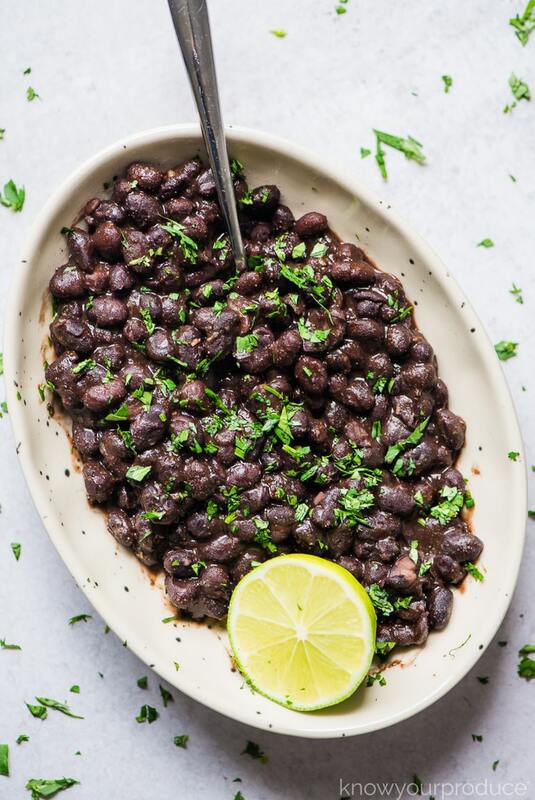 Do you drain black beans before cooking? The thick liquid in the canned beans is made up of the cooking water when they can the beans. It contains starch and salt. Draining is optional when it comes to making cooked beans like this recipe. We use the liquid to thicken it up without using cornstarch or other thickeners. If you were using for a black bean and corn salad or using the beans in a fresh uncooked recipe we recommend draining and rinsing the beans. 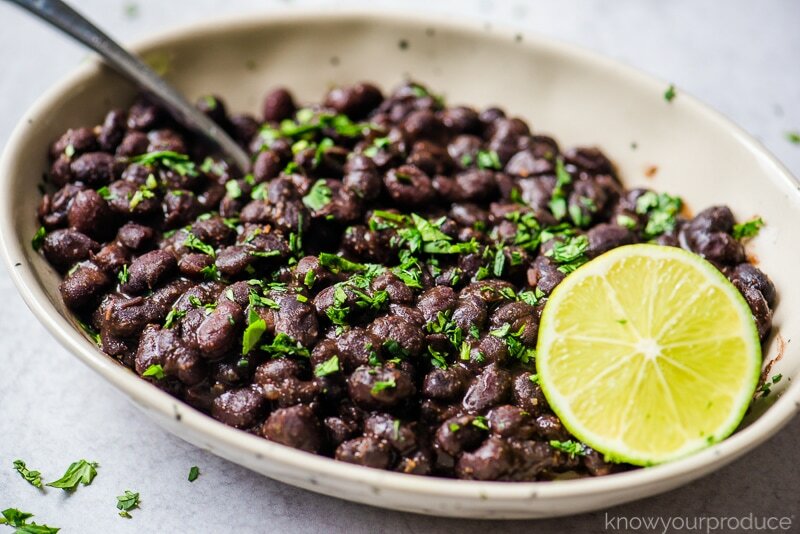 How do you serve Mexican Black Beans? We use them to make black bean tacos, black bean burritos, over scrambled eggs, or even potato hashbrowns for breakfast. 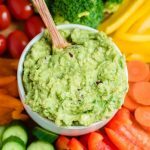 You could even make Mexican black beans and rice and serve over shredded romaine with homemade taco sauce for a delicious burrito bowl for lunch. 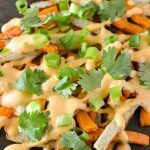 We enjoy them stuffed into a baked potato or even air fryer baked sweet potato – like this recipe! 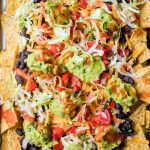 They’re a great addition to casseroles as well, like this dairy-free taco casserole. Rinse the beans to remove any dirt or debris. Soak 1lb of black beans in a large bowl with water covering them, water should be about 3-4 inches above the beans. The beans will increase in size and soaking helps speed up the cooking process, it also makes them easier to digest. Rinse the beans before cooking and discard the soaking liquid. Boil the beans for one hour with enough water to cover the beans. Once the water is boiling reduce the heat to a simmer and cook for 1 hour until you reach the desired texture. 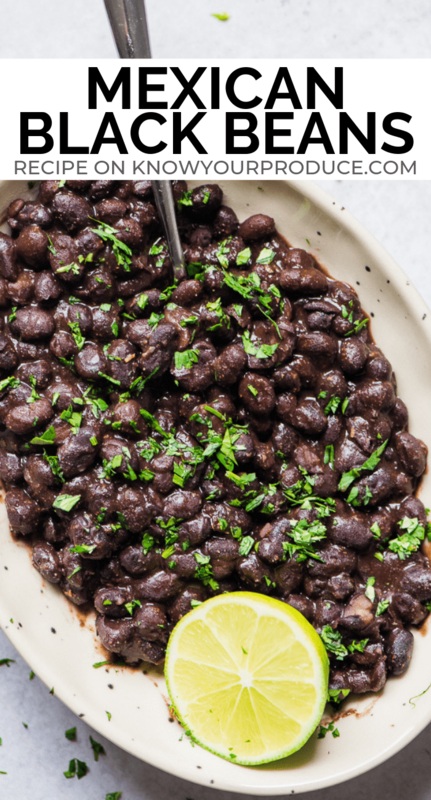 Use canned black beans to make this recipe even quicker. We recommend using cartons over cans. Make sure you use BPA free. Canned may have a tin can taste. Try our homemade taco seasoning instead of using store bought – it saves you money and you control the amount of sodium. Use the canning liquid for beans with a thick sauce, drain and rinse with water for a thin sauce – add about 1/2 cup of water to the beans to cook. Double the batch and make ahead for adding to lunches throughout the week – we’ve enjoyed them up to 4 days after cooking. You can add more cooking liquid if you like – we like our beans to be cooked down and the liquid completely reduced. This way it’s less messy in recipes too. Simmer for 15 minutes if you want the beans to have liquid, or simmer for 25-30 minutes if you like the liquid cooked down like ours. 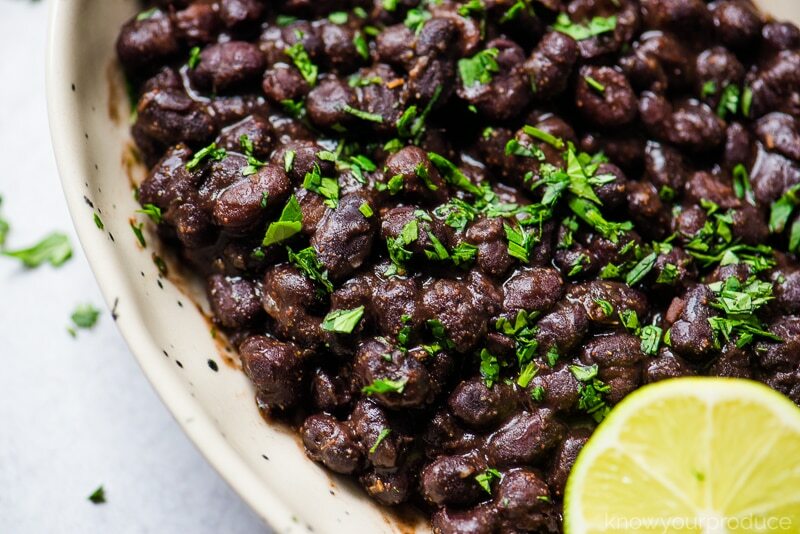 Mexican Black Beans make for a delicious side dish or main dish. Use for tacos, burritos, and more - they're vegan and gluten free! Add the black beans with liquid into a skillet with taco seasoning, cumin, oregano, bay leaf, and onion powder. Bring the beans to a boil stirring frequently and then reduce to low to allow the beans to thicken. If you do not want to use the canned liquid you can drain and rinse the beans. Add 1/2 cup of water to cook the beans. 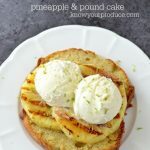 I love the idea of making these at home! Going to Chipotle a lot can get pricey.. and homemade tastes so much better too! I can’t wait to put these on my next taco bowl! I always have black beans in the house. 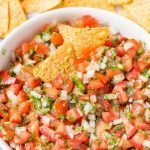 This recipe sounds perfect for our Mexican themed dinner nights. What a way to showcase these healthy and nutritious beans. The perfect side dish to take along to a pot luck too. So quick and loaded with flavor. We used these as part of a veggie grain bowl and they were my favorite part. They paired so well with the other raw veggies and the quinoa. 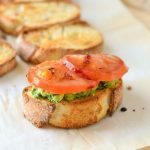 An awesome meatless monday idea. Oooh I love the use of the bay leaf in your seasoning – what a great idea! This is a staple in our house so we’re already ready for tacos!! 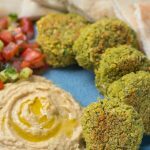 Great great recipe we all love!